TOFU MOM . . . and gravy! 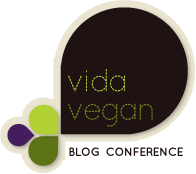 : I AM GOING TO VITA VEGAN-CON BLOGGERS CONFERENCE! TOFU MOM . . . and gravy! The incoherent ramblings of a Fairly Odd TOFU MOM. (aka "Tofu-and-Sprouts"). Unapologetically delicious, vegan comfort food (and lots of GRAVY! ); My 'Sprouts' are mostly grown, but happily raised on these kid-tested, Mom-approved, easy, budget-friendly recipes from my kitchen. 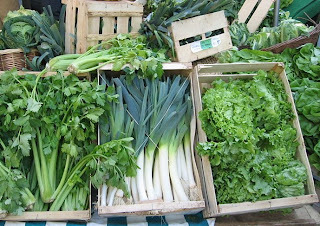 ~~~QUITE SIMPLY, I'M VEGAN AND LOVE TO COOK! ~~~ Over the years, I've collected tons of "Favorite Family Recipes" that I'm gradually veganizing. Friends and family are ALWAYS asking for recipes, so I decided to post them here. ~~~~ If I get an idea from a cookbook, I'll be sure and note it, but most ideas are recipes I've modified 'till they don't resemble the original, or I got from family members, or came up with thru trial and error. ~~~~ That said: I'm first-and-foremost a MOM to three wonderful Veggie Kids who are my life, my passion, my WORLD! ~~~~ I'm in that "over-forty" crowd (though you know what they say about us "older women"! )and lovin' it - I wouldn't trade this age for any other. ~~~ Of course, I'm vegan and passionate about my lifestyle, sharing recipes and ideas, and showing people all the tasty goodies that we Vegans eat! ~~~ What else...Oh, I'm also a Special Education Teacher working in a program with Autistic Kindergarteners. ~~~ My life is full and challenging, exhausting and exhilerating. Most days I love it. Other days I come home and turn into a couch potato and snuggle with my girls. People Who Actually READ My Randomness! I AM GOING TO VITA VEGAN-CON BLOGGERS CONFERENCE! this summer). SO excited this event is so close to home!! I may have mentioned it? The wonderful people at VeganCon were offering scholarships for several lucky people, and since my "Conference Savings Account" has only amassed a very unlucky $25.00, I decided to apply. Then, I deleted the application because I thought I sounded stupid. But..... I really wanted to go, so I sucked it up and filled it out again. And deleted it. I went through this process several more times, and finally just a day before the deadline, I FINALLY submitted a scholarship application that I hoped was only slightly less desperate and sucky sounding than previous attempts. And then I crossed my fingers. Clutched my lucky (fake) rabbit's foot. Prayed. Panicked. Hoped. Kept saving my pennies. And prayed some more. Because the harsh reality was, I just wasn't scraping together extra pennies very fast. Then, in the end, I totally forgot scholarship winners would be announced at the end of January. (Hey, I had a lot of other serious craziness going on last week - cut me a little slack here!). with your name on it." Needless to say, I am SO SO SO SO Sooooooooooo excited and honored and shocked and happy and thrilled and amazed and THANKFUL!!! SO thankful. A million heartfelt Thank-You's to Janessa, Jess & Michele; conference planners, organizers and scholarship-hander-outers extraordinaire. You can't imagine how thrilled I am. Hi - I was just over at Vida Vegan checking out the Con and saw your name - Congratulations!! You totally deserve it, (if for no other reason than your awesome Gravy MoFo). I'm hoping to go - with it being so close, it's almost shameful to miss it. Maybe I'll even get to finally meet you face-to-face! Congratulations! I'm looking forward to meeting the person behind the blog. OMG! OH I am so happy for you! Congratulations! Woo Hoo! have a super duper great awesome time! Hooray! Congrats to you! I agree with the other commented, your mofo should've been enough to let you go, it was so awesome. congrats! i hope to see you there. Fab news, I'm already looking forward to the posts. CONGRATS! So super stoked for you! Hooray! What wonderful news. I am going to be going also, so I'm excited to finally get to meet you. (In case you are wondering who in the world I am, I used to spend time over on VeggieBoards a few years back, under the name of Colorful, then Cornflower). I've actually been looking for someone to carpool with as we are a one car family and I don't want to leave hubby home with three boys and no transportation. We should talk! Congratulations! I'm looking forward to the conference, too! AWWW! Thanks all - how sweet are these replies!?! I'd love to meet EVERYONE, we'll have to walk around peering at each other's nametags!! SO EXCITED!! @Renee: Definitely sign up!! PLEASE come!! I'll find you - we can hang out and talk trash about Gaelynn!! (KIDDING of course, about the trash talking anyway, I only know good things) Heehee! @veganspoonful/colorful: are you on Facebook? add me there or contact me here close to the date and we'll talk carpool - that could DEFINITELY work!! You're in the Sea/Tac area still? Awesome! @JL - it's on, birthday cupcake in PDX.. or there's some insanely good vegan doughnuts too, heck, maybe a pastry tour of the town?